When non-Icelanders hear about the Icelanders’ belief in elves, they usually picture us believing in the existence of little leprechaun-like creatures with pointy hats, or tiny fairies that flit among the flowers like butterflies. The “belief” aspect notwithstading [personally I don’t know anyone who believes in the existence of elves, though certain sections of the Icelandic tourist industry would like us to believe otherwise … I guess the “weird and kooky Icelanders” aspect sells] it is irrefutable that Icelandic folklore is dense with stories of elves and hidden people. However, these elves of those stories were anything but diminutive and fairy-like. 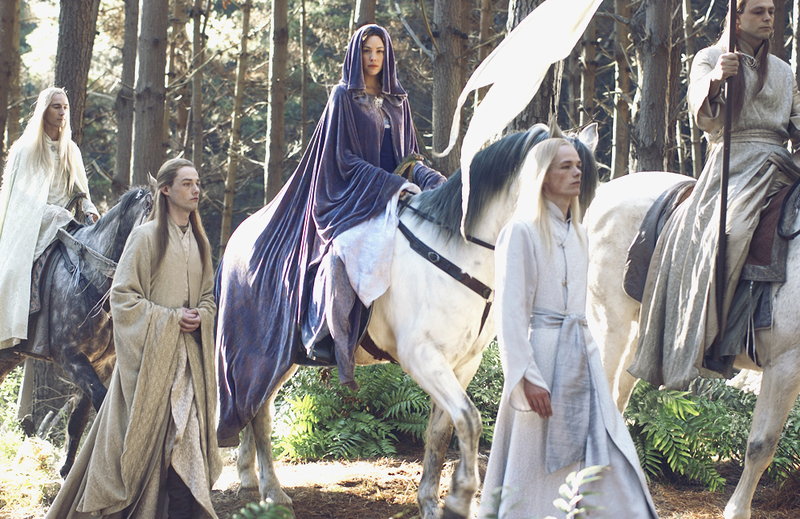 Many of you will no doubt recognize this image from the Lord of the Rings films. Indeed, J. R. R. Tolkien is known to have been heavily influenced by Norse mythology, and is widely thought to have taken modelled his elves on those sources. By which I mean to say that in Icelandic folklore, elves and hidden people [interchangeable terms] were beguiling creatures – far more attractive, regal and poised than the snivelling humans all around them. Their homes were more luxurious, their clothing more opulent, their livestock fatter and better. They had supernatural powers. They could appear and disappear at will, and make or break the fortunes of the mortals they encountered. In short, they inhabited a world parallel to the human world, where amazing things existed and were possible. As such, the elf belief provided a much-needed psychological escape for people facing almost unimaginable adversity on a daily basis – the Prozac™ of the day, if you will. More on the hidden people in Friday’s post. Or you can read all about them here.